Has the winter cold claimed your furnace or home heating system as a casualty? No problem! Our award-winning, certified furnace technicians will have your furnace repaired and working properly in no time. 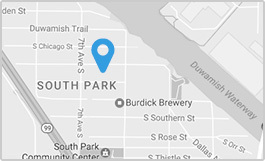 We provide 24 hour furnace repair service in Seattle, Bellevue, and surrounding areas. We are even available on weekends! Give us a call today. Emergency Furnace Repair Seattle, Bellevue, and Surrounding Areas. These were the people who responded promptly to my emergency. Jesse was kind, helpful and diligent. These are my new furnace peeps!